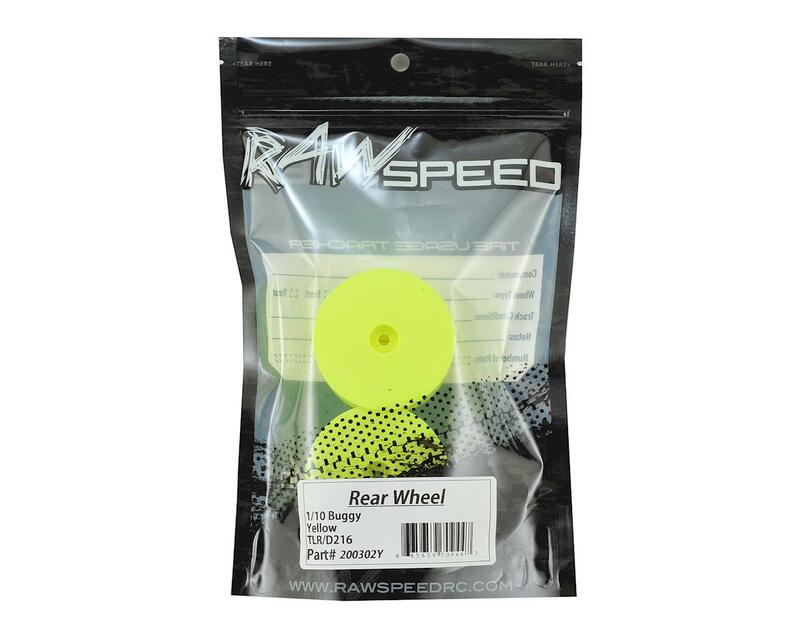 Raw Speed 2.2" 12mm Hex 1/10 2wd Rear Buggy Wheels are made in a high precision aerospace quality mold that creates a true spinning wheel. 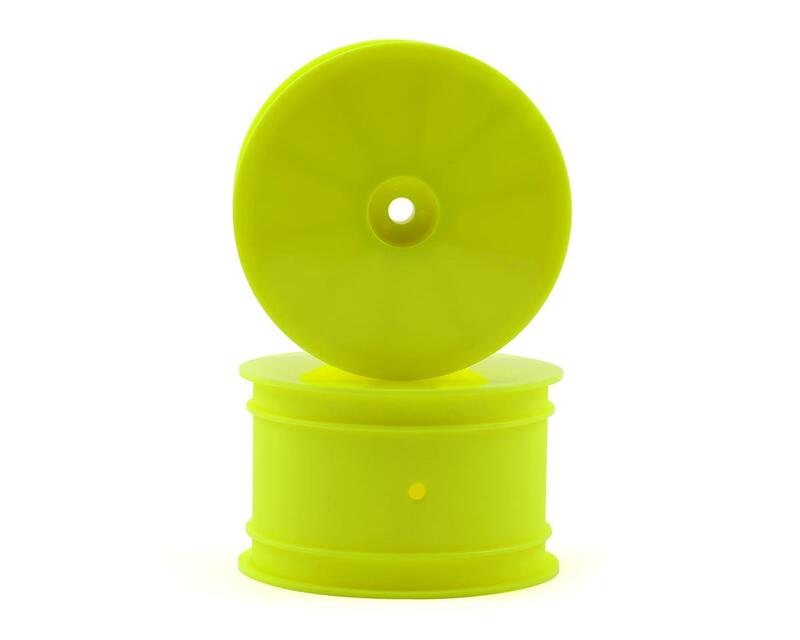 The glue channel is textured to help provide a solid bond between the tire and wheel, and the chosen material is very durable. 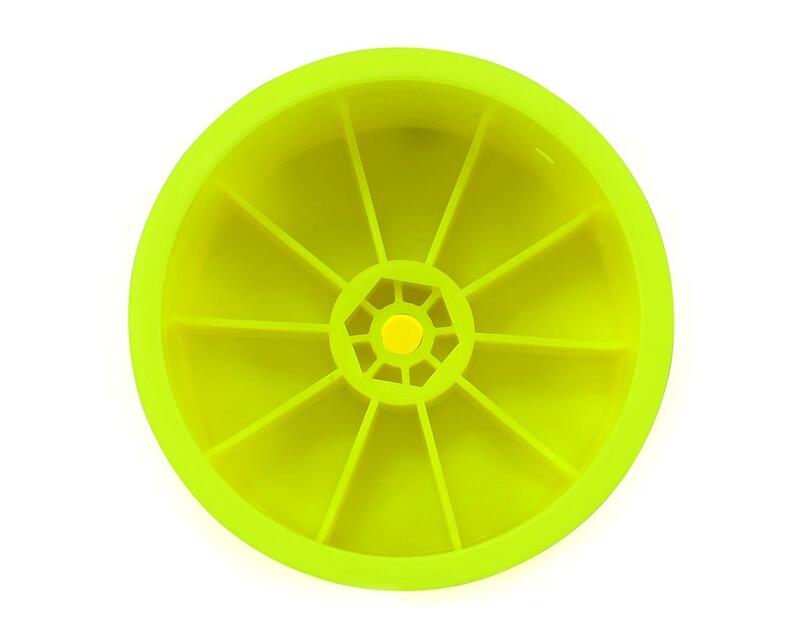 These wheels are a direct fit on TLR 22 and HB D216 2wd buggies.